A clean redesign helped this clinical-stage biopharmaceutical company, which is developing a next-generation delivery system for botulinum toxin-based prescription products, get off to an impressive start. 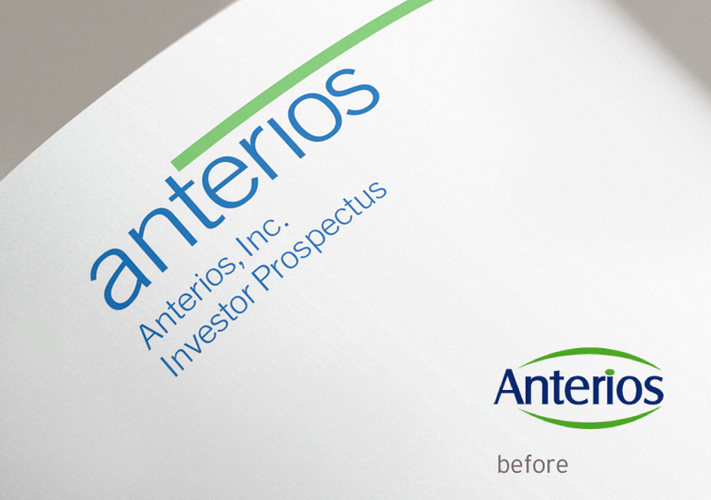 In January 2016, Anterios was acquired by Allergan, a leading global pharmaceutical company, for $90 million and potential development and commercialization milestone payments. Good design is good business. 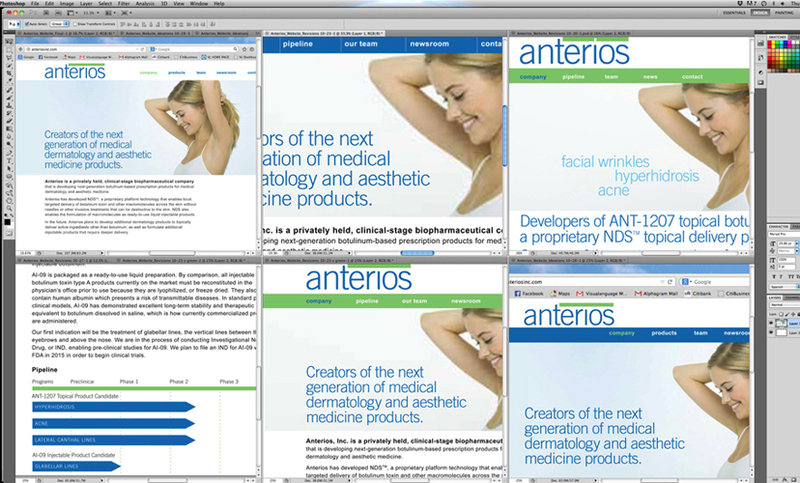 Even a clean, simple website requires a detailed exploration and development process. 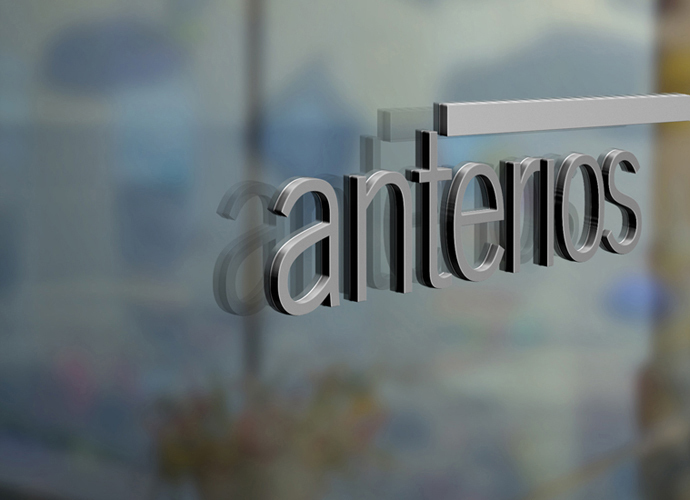 The finished product can make a growing company look like a (potential) billion. 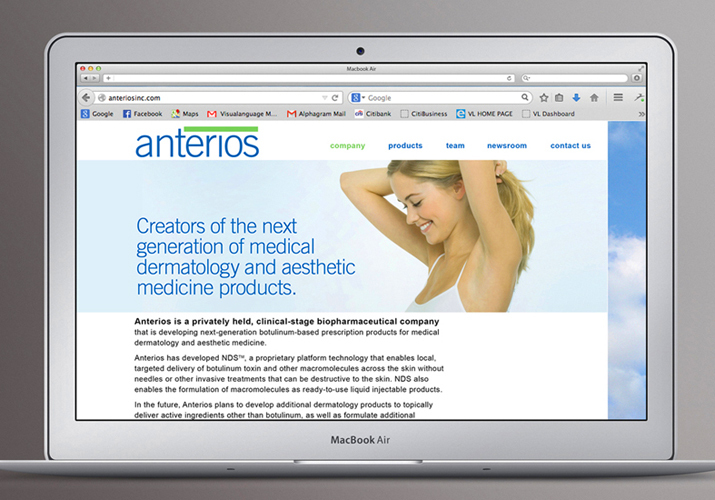 Within months after this identity and site were launched, Allergan announced its acquisition of Anterios for $90 million. 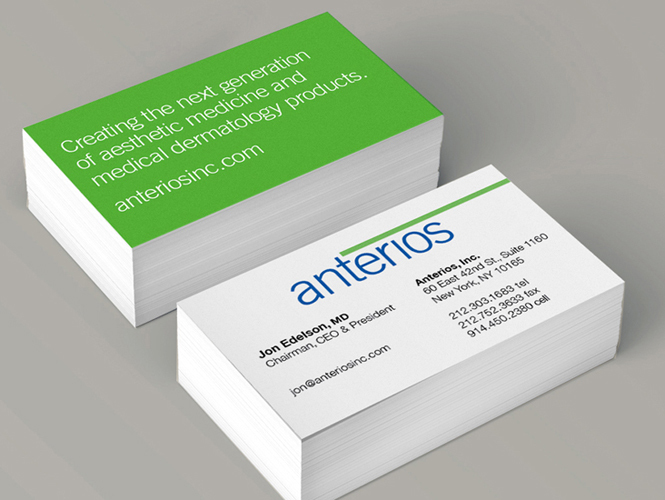 Crisp, colorful business cards help the principals make an impression at meetings and conferences.